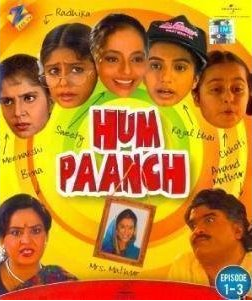 Episode 9 of Hindi SitCom Hum Paanch moves the two episode long sequence ahead from where we did left it in Episode 8. Now as we know that things between Anand and his wife Beena got very much complicated due to the love story of Pappu and Dhanno. However we must notice that there is no confirmation of love from Beena’s side. The things at the Mathur house are taking unexpected turns. We saw in the last episode that the Antakshari session went very wrong for Anand. And the chain of sad events doesn’t stop with that session (for Anand). We clearly see Beena is taking more care of Pankaj then Anand in almost everything. The scene where she offered Pankaj to use their bedroom is filmed nicely. There were chances that the scene may went wrong with the use of abusive stuff, but, the script writer and director took very good care by knowing the fact that it is family show. There is no single cheap dialog in the episode nor any vulgar gestures which make you uncomfortable. The “sparking agents” by Anand’s late wife (from photo frame) are adding to the positives of the episode. Also the last scene of the episode is focused on true love, faithfulness and family values. It makes the episode more Indian and adorable. The scene where Anand feels uncomfortable at office and he approaches home back is a good one to watch. It reflects the situation which almost anyone in such situation could have gone through. It follows by some important scenes which takes you through the finale of the episode where the true love story and facts about it (from Dhanno’s side) are explored effectively. Ashok Sharaf is really a very good actor who is not used upto his potential. See his comic timings and nice dialog delivery in this episode and you will be able to observe is acting range. Shoma Anand is competitive and you may find her a little louder. Priya got very few scenes but enough to make her presence felt. She is also the narrator of this episode. The sisters are there in the episode and they do justice to the scenes they are working in. 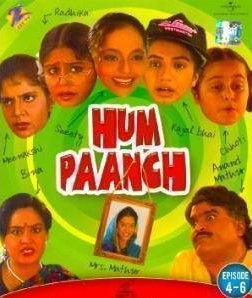 Ramesh Bhatkar is the guest actor (as Pankaj) whose voice works for him fantastically. There are places where you may find the background music (especially the laughters) quite louder. The laughters are misplaced at various places as well. The set is authentic and the script is just good. The DVD quality is good. However the audience habituated to watch HD content these days may find it a little dull in audio visual aspects. The simplicity in execution and straight forward writing works in favour of the episode. It is very tough to create a genuine sitcom without lowering the standard. The entire team got succeed in the same. It is a good lesson for the comedy shows and serials airs these days which doesn’t provide anything genuine to laugh about, and even uses toilet humour and other low quality content in order to get popularity.